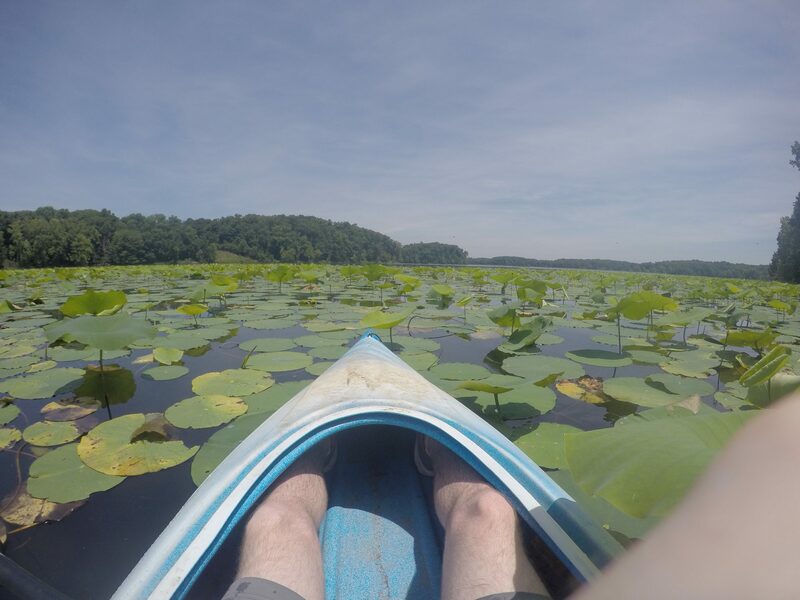 The waters of Kentucky provide numerous and exciting options for kayaking. 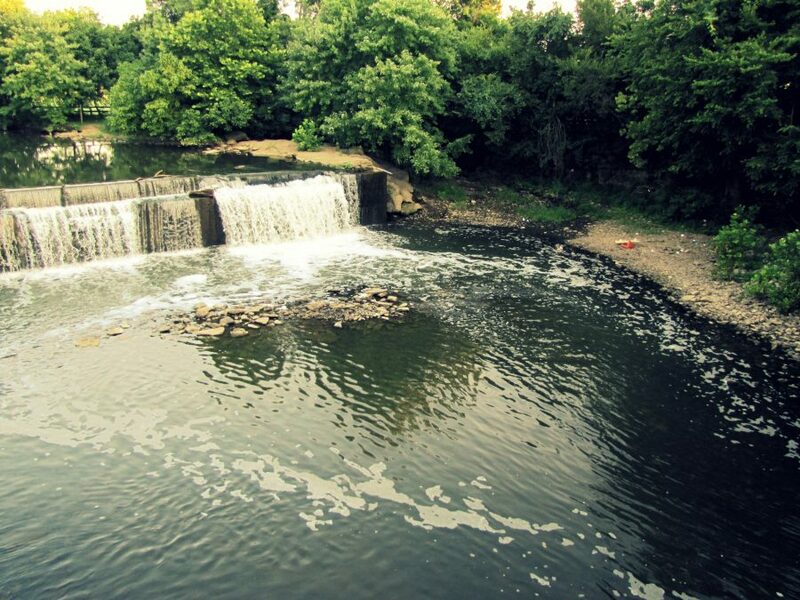 The waterways are friendly, easily accessible by the public and fun to explore. Many of these places have local rental companies providing guided tours to help kayakers learn the area. Kentucky has the right option for beginners, experts and everyone in between. 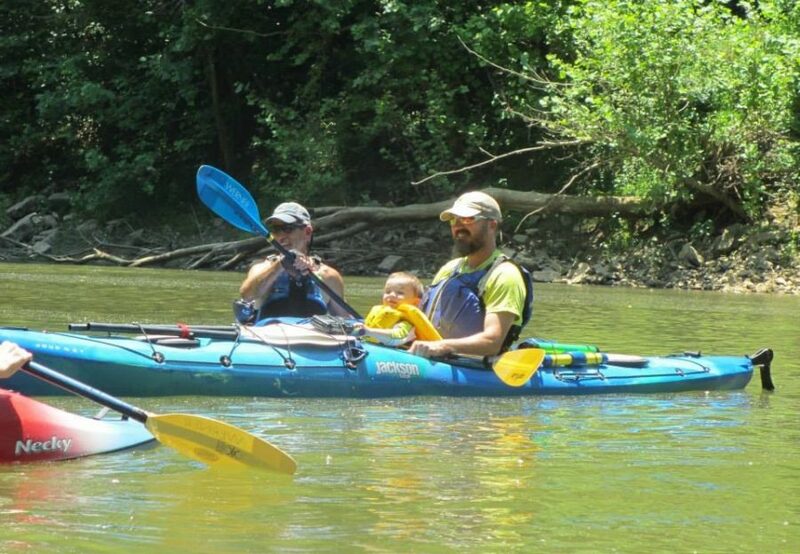 Kayaks and canoes can be rented for an adventure on the Kentucky river. Canoe Kentucky provides these services six days every week. This is the perfect place to spend the day on the protected and calm waters. The best description of the river is friendly for beginners because the depth is just ten to fifteen feet. Elkhorn Creek is an excellent destination to start improving kayaking skills as well as a nice trip for the more seasoned kayakers. Many people bring a fishing pole because the waters are filled with small mouth bass. Kayakers can learn wet-existing techniques right in their boats or experience the whitewater rapids. There are also several areas to enjoy a leisurely and relaxing experience. Anyone interested in having an adventure should come to Mammoth Cave Canoe and Kayak. There are several choices available to explore Mammoth Cave National Park. The shorter trips encompass 7.5 miles and last for three hours. This trip is perfect for paddlers with less experience. The longer trip is for three days and is an adventure in both camping and kayaking. There are canoes, kayaks and double kayaks available. Drake’s Creek is a sensational destination for kayakers in Bowling Green Kentucky. This trip is just right for those with less experience. The kayak half day adventure is an extremely popular trip lasting between three and four hours. The paddlers will explore six of the easiest miles through Drake’s Creek and Trammel. The trip will eventually land the kayakers in Phil Moore Park. This is where paddlers will find guided tours of numerous scenic water trails. The kayaks can be rented or the participants can bring their own. This is the way to revel in the views of the wildlife and nature while gaining access to the finest fishing holes in the region. Anyone who enjoys history will be riveted by the views of the Tennessee and Kentucky Civil War heritage from the waterfront on the Civil War Water Trail and the Fort Donelson National Battlefield Trail. There are five trails posted in this area. All of them have points for easy kayak access directly into the water. Visitors will finds nearby amenities including camping facilities and designated, primitive and developed backcountry sites. This makes it easy to spend some time simply enjoying the waters. The visitors can pack it in, enjoy their visit then pack it out. This trail goes through the bluffs and secluded bays along the Tennessee River and the Kentucky Lake. This is an enchanting escape into the wonders of nature. The rocky shorelines are filled with a wide variety of fossils including ancient clams, brachiopods and crinoids. There is excellent wildlife viewing throughout the year including bald eagles. This is a kayakers paradise. 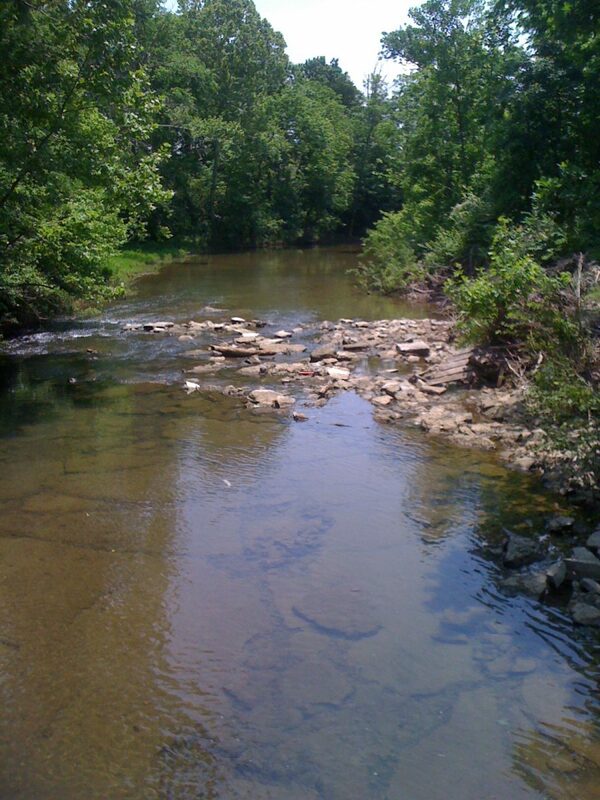 This trail is in Lyon County, Kentucky on the Cumberland River and Lake Barkley. Kayakers will discover inlets so perfect they are reminiscent of a post card and are exceptional for both kayaks and canoes. From March until November this trail is designated as a refuge for the wildlife. This means kayakers will enjoy viewing a nice selection of wildlife. Bird watchers may see northern parulas, eastern kingbirds, prothonotary warblers, tanagers and green herons. Many birds have summer nests along the trail and forage daily in the waters for food. Butterflies and swallowtails also flutter around the buttonbrush flowers. This 180 acre lake is exceptional for kayakers and wildlife lovers. This lake is in Lyon County, Kentucky and deer, eagles, cormorants, osprey, beavers and numerous varieties of bird can be observed. Fishermen find excellent opportunities at the crappie fishing holes during the spring while everyone will enjoy the spectacular sunsets as evening approaches. This is a shallow and calm trail feeding into Hematite Lake. There are a lot of waters for paddlers to explore. This trail is right off Lake Barkley’s main channel and offers scenic waterways and undeveloped forests. 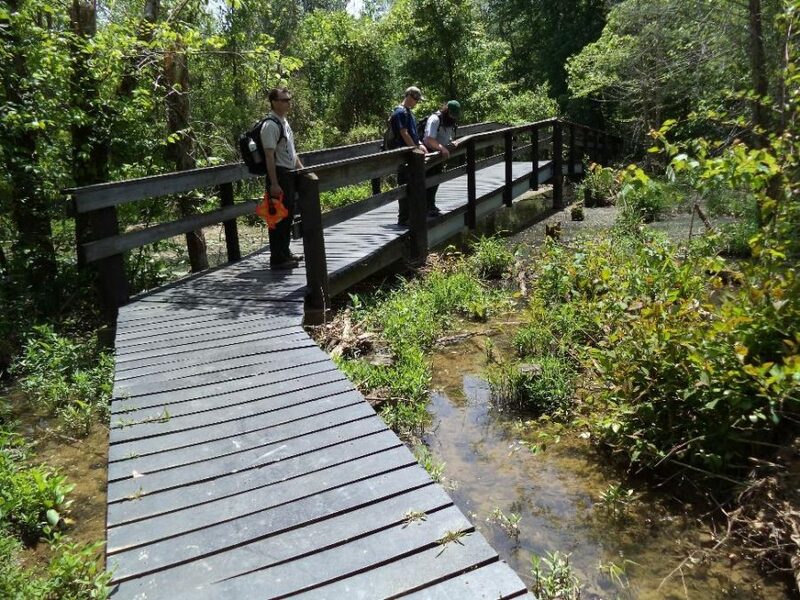 The Taylor Bay Water Trail is within the Woodlands Nature Watch Area at Land Between the Lakes. This makes this a sweet spot for not only kayaking but viewing the wildlife in the safe haven provided by the national park. Paddlers will be engaged with the historical structures and natural wonders. This includes the Empire Furnace constructed in 1843. These ruins remind viewers that the iron industry one ruled the region. The natural beauty of this area is breathtaking. Blue Moon Canoe & Kayak of Kentucky are located at The Parklands of Floyds Fork in Louisville, KY and is the exclusive outfitter. They offer kayak and canoe rentals as well as kayak trips. They provide all necessary equipment for paddling the trails including shuttles up and back, the boat and paddles and life jackets. These are some of Kentucky’s most scenic trails and bike rentals are available to enjoy the paths. 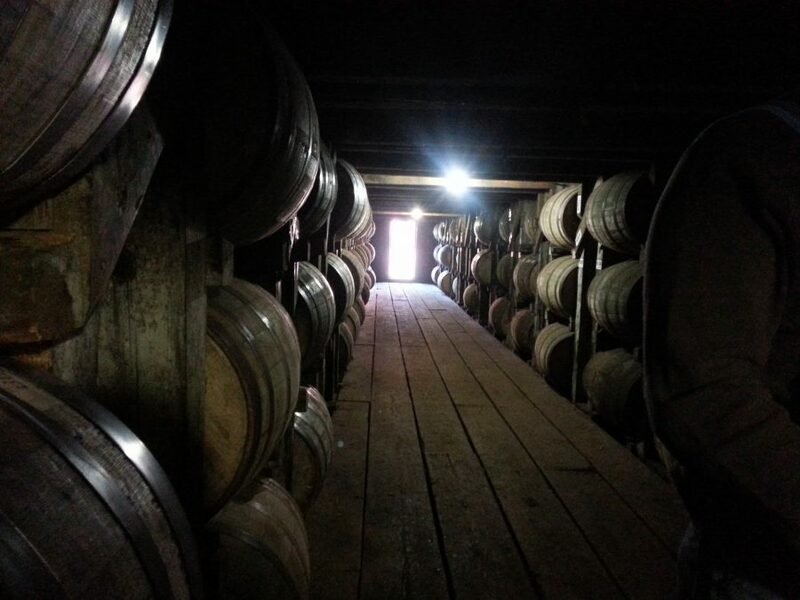 This trip is only available once per month and is in partnership with The Buffalo Trace Distillery. 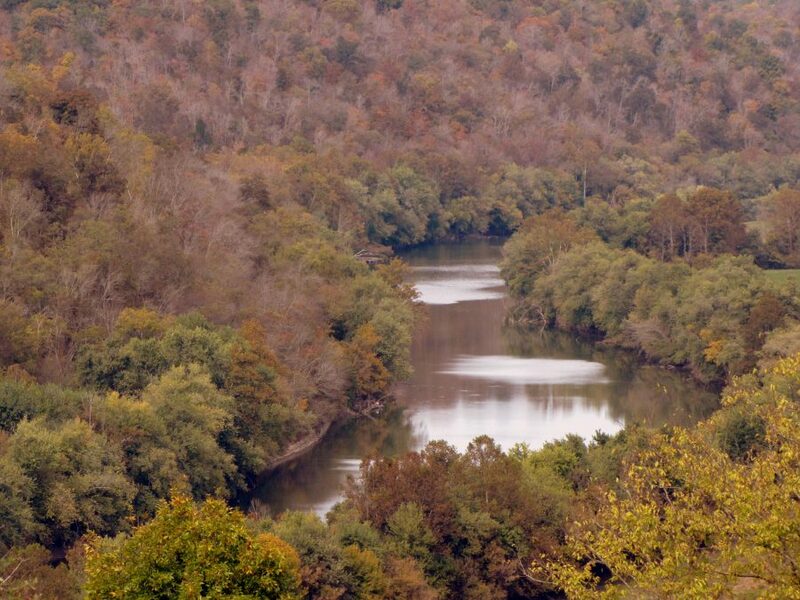 This trip includes the rental for the Kentucky river along with the guide, a nice lunch and a special tour in an area usually off limits for all tours, The Buffalo Trace. Everyone paddles together as a group and is guided through the number 4 Lock and Dam. These views are only visible from the river and contain a lot of interesting history regarding the area. The group docks at Buffalo Trace and experiences a 45 minute tour on the historical grounds. A BBQ catered lunch is enjoyed prior to returning to the river trip. This tour lasts approximately four hours. Experienced kayakers will enjoy the challenge of The Dam Triathlon. This event is sponsored yearly by the US Army Corps Engineers and the Rough River Dam State Resort Park. The event begins at Rough River Beach and the participants paddle for 7.2 miles. The next step is a 9.6 mile bike ride followed by a walk/run for another 2.2 miles. The times of the participants are recorded and the winners receive trophies. This event is scheduled during the month of August. The Kentucky Dam Village is a State Park offering everything from a relaxing day at the beach to kayaking. This is a great destination for both beginner and advanced kayakers. Paddlers can try out top quality kayaks at absolutely no charge. This is available at the Old Beach which is right nest to the Conference Center. These waters offer a fun filled day for everyone.